Business owners, marketing professionals, bloggers, and even regular Internet users have mostly all heard of the changes Google implemented into their search algorithm. Dubbed "Panda," Google announced plans way back in 2011 and have been tweaking, fine-tuning, and changing the algorithm since then in order to make sure that their search only provides high quality results and penalizes people who try to game the system with black hat SEO or other bad practices. Now that we have been in 2012 for awhile now (time flies, doesn't it? ), there have been even more updates--one of them now called Penguin--that businesses and internet marketing specialist should be aware of in order to stay on Google's good side and provide the best impressions for your content. What is Google Panda & Penguin? To give you a brief explanation if you haven't been watching the news like a hawk, Google Panda was put into motion in order to get rid of "spam" or "bad" content, like the articles found at "content mills" where writers will publish thousands of articles and share the ad revenue with the website. While most of these websites do have legitimate writers, a lot of them also had bad information that was, in Google's eyes, making their search irrelevant. Panda did quite a bit of damage and a lot of those content mills haven't recovered since or even went out of business. Then, Google rolled out yet another major algorithm change: Penguin. While Panda penalized bad content, Penguin was out to get the content with low quality links, keyword stuffing, and over-optimized anchor text and "above the fold" advertisements. Both of them work together to ensure that websites are creating only the best of the best when it comes to content for users. However, that also means a lot of people have felt the hurt simply because they don't know much about SEO or didn't bother to change any of their tactics to better suit the changes. Google updates are constantly changing the battlefield and it's your mission to stay ahead in order to stay profitable and in business. That's the simple answer, of course. To make it a bit more complicated, Google is looking out for the users in the end. People who are searching for answers and happen across your websites to find those answers. They don't want to be bombarded with keyword stuffing or bad content, they just want to find what they're looking for! And it's your job to provide that. If you found your content was hit the most by Google updates from Panda, then it's time to update your keywords and content. Google has a great little tool to find out what your organic keywords are, called Google Organic. Compare your traffic before and after Panda to determine your new keywords bringing in those views. However, if your website was hit by Penguin, it's time to scrap all of those bad links and over optimization tactics (and fast). Unfortunately, Google has been rather vague on what they consider "over optimized" websites and simply give the advice of creating valuable user interactions, very relevant and engaging content, and leaving the super-SEO tactics at the door. Google updates will continue to tweak the search engine and make the web better, however, like we have said you need to keep on your toes and make sure that you are practicing only the best tactics to appease Google (since we all know they more or less own the Internet). Now that you know the scoop on Penguin and Panda and how to handle current issues with your content and website, what about for the rest of 2012 and beyond? Don't worry, we've got you covered. As Entrepreneur reported: Over-optimized sites will continue to be hit, engagement on your website should always be a high priority, and content marketing will continue to grow into a very stable source of marketing for your business because of the high importance of quality content from Google. Let's break these down. If you continue to over-optimize by keyword stuffing, using the "quantity over quality" method with backlinks, and stuff your anchor text with questionable SEO, then your website is going to continue to fail. If you think your website will need a complete make-over, then do it! There are tons of inexpensive ways to rework your website in order to be in Google's good graces. It just simply means that you care about your business and want to see it flourish. If you're feeling the hurt from Google updates when it comes to user engagement, then it's time to make your website a worth-while trip for Internet surfers. This means providing only the best content that helps them answer questions, or can be shared with their social networks (both is even better!). Don't just try to sell, sell, sell. It's more than that, now. 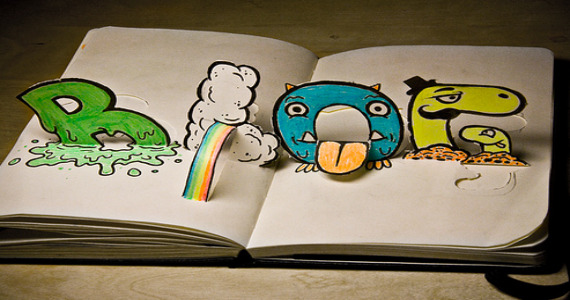 As most marketers will tell you, "tell a story with your content." Let users be a part of your business's culture, like sharing their brand loyalty on your website through pictures or stories. Content. It's a big thing. If you aren't using content yet, then it's about time you did! Articles, blog posts, infographics, videos--whatever your preference, it's time to incorporate it into your marketing strategy. However, Panda focuses on the written content of your business and website. In order to keep it fresh, remember to keep it relevant to the times (articles from 5 years ago need to be thrown out or updated), give the user actual substance in the content, and make it interactive for the user. Encourage them to comment and ignite a conversation. Whether it's Panda or Penguin, Google's best practices are always the ones that are one step ahead of the game. And if you continue to follow these tips, your business won't have to worry about a thing when it comes to impressions and views. But, how can your business keep tabs on all of the changes? A really simple way is to create a Google Alerts specifically for the keywords "Google Panda" and "Google Penguin." That way, you will have news articles and blog posts about the Google changes sent straight to your email everyday. All of this sounds simple enough, right? Google updates don't have to be a thing to cower or be confused about, it simply means keeping your online marketing tactics updated and at their best. While it may seem like more work for you, it certainly doesn't have to be with so many people out there who do this for a living. Web content developers, online marketers, and SEO experts are all out there and know all of these Google updates like the back of their hands. If you don't want to keep tabs on all of the algorithm changes, they will for you and help you out (and you don't have to go bankrupt). Google shouldn't be the one taking you out of business simply because of their algorithm changes, no one should be forcing you out of business! What changes have you made in order to appease the all mighty Google? Or, are you still unsure what changes you need to make? Let us know in the comments about your experiences with the algorithm changes! Sometimes, blogging can feel like you're just shouting into the wind. It's tough maintaining a blog and remembering that good things come to those who wait. Even at a full Internet marketing service it can be frustrating at times. However, every time you attract a new visitor, or see a post get reposted to Facebook or Twitter, that means more exposure and potentially more sales. So you've got to keep at it. We know a lot of you can't afford a full Internet marketing service to handle your blogging, and you're just doing it on your own. So we wanted to offer you a few tips on how to write blogs that engage readers and get them coming back for more. Blogging Tips from a Full Internet Marketing Service! Don't be afraid to stick your neck out a little and state your opinions openly. It shows you have integrity and you have faith in your way of doing business. No one wants to be an Etch-a-Sketch, changing opinions every time something new happens, because then you're just a blank slate. Besides, posting the occasional controversial idea is also a great way to get discussions going in your message boards, and those are a great way to build readers. No, seriously. HAVE FUN! REALLY! The best blogs are written by people who enjoy slinging words onto a page. If you're writing the blog out of obligation and it's starting to feel like a chore, it's going to show in your writing. Take a break, or see if there's someone else in the office who wants to let their inner Hemingway out. Or perhaps outsourcing blog writing is an option. It means added exposure for them and you. Basically, you need to do whatever you can to stand out. You could even say it's a blog-eat-blog world out there. So, what tips have you found that help your blog get visits and comments? Rather than writing another "beginner's guide to SEO" post, today we're going to let you in on a few lesser-known tricks that a lot of home marketers miss. While maybe they're not exactly trade patented internet marketing secrets, these are all things that will improve your own SEO that don't get talked about as much. If you can't afford your own internet marketing consultant, these Internet marketing secrets will definitely help you get better search results than ever before. One of the easiest things you can do to help your SEO is to make sure you're properly leveraging the metatags in your site's code. They tell search engine spiders what the content on your page is. They also can help your search results as well in some situations. They're even more important on pictures and video. Since spiders cannot "see" visual content, the tags on your visual content are all they have to go on. If you can't have your own CMS, Google has the next best thing. Their Keyword Tool and Google Analytics are both quite effective and totally free to use. Analytics is an especially powerful tool, giving you nearly all the information about your site's usage as you could possibly want. This is another of those Internet marketing secrets that far too many people overlook. If you have a physical location for your business, a Google Places page is great for guiding people to you. When setting it up, make sure you fill out 100% of the fields, even the pictures and video. Sites with 100% profiles automatically get bumped ahead of less-complete profiles in searches. 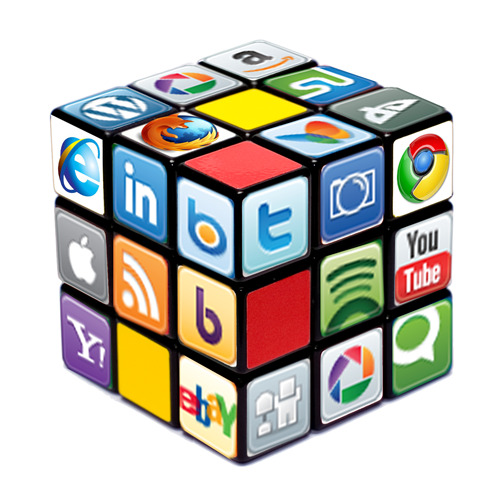 You don't have to pay for a pricey group to monitor your social media for you. Social Mention is a great site that can monitor mentions of your company from across the web, and even analyzes them for their sentiment. It'll also notify you by email if you want. Topsy is another good option, which gives you a real-time glimpse of conversations going on at the moment. OK, this one really isn't among the Internet marketing secrets, but it bears repeating anyway: Content is king. Far, far too many sites focus entirely on their keywords and forget to actually include any content that people would want to read. Sure, this probably boosts their site visits, but virtually all those visitors bounce seconds later. If you want sales, you need good content. 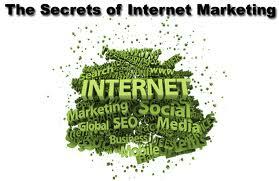 In short, one of the biggest Internet marketing secrets is that you really can do SEO yourself if you need to. Shhhh! Don't tell the big boys that we told you.